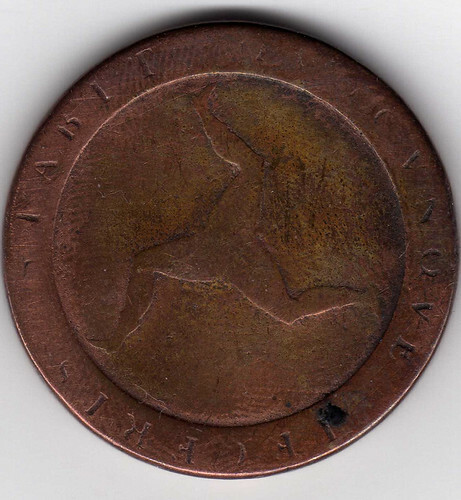 Old farthing from the Isle of Man. Anyway you throw it,it always lands on its feet. I love those three legs for some reason!... 18th century.